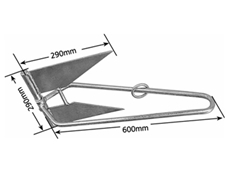 Manutec have a range of Boat Anchors for small to large sized boats. 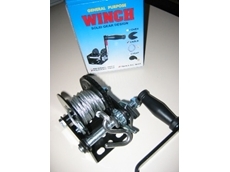 Roxom Boat Trailer Parts provide a wide range of quality boat trailer roller, parts, accessories and 4WD parts including boat plastic rollers, roller brackets, winches, bunks, skids, trailer wheels, trailer guards and related equipment. Boaties Marine Superstore offer a range of boats for sale and hire. Agricultural trailers and trailer parts up to 4.5 tonne. Webbcon Marine supplies a range of marine products including new boats, outboards, fishing tackle and accessories and boating accessories such as anchors, fuel tanks, lighting and safety products. 22/08/11 - Flexitank presents the Flexidock TM, their innovative dry docking system, which enables any water based vessel to remain dry at water level in any situation. 31/03/11 - Mangrove Jack Marine, manufacturer and supplier of aluminium portable boat trailers, offers a range of boat trailer parts. 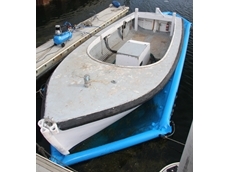 15/01/10 - Mangrove Jack Marine are designers of the lightest licensable boat trailers in Australia, weighing in at just 38kg.